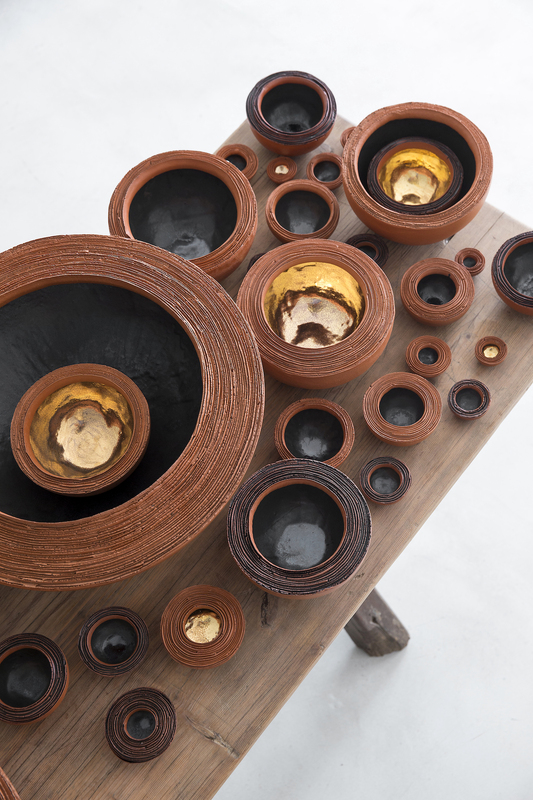 ‘Full Circle’ is a largely installation based solo exhibition focusing on Hennie Meyer’s most recent hand built and experimental pieces in the round. The artist explores the circular shape both as canvas and as an element and whilst reflecting on his past and journey to date believes he has come ‘Full Circle’. Hennie Meyer, a highly individual artist with a unique and strong signature style, is a multi award winning ceramicist, considered one of South Africa’s most exhibited and hard working artists and his work is regularly shown worldwide with pieces in major public collections.